The City of Toronto is conducting a community needs assessment for recreation programming in York South-Weston and the local community. Increasing the capacity for providing recreation programming is an important goal for the City. Offering more programming in more local facilities in Ward 5 and local area will support this goal. 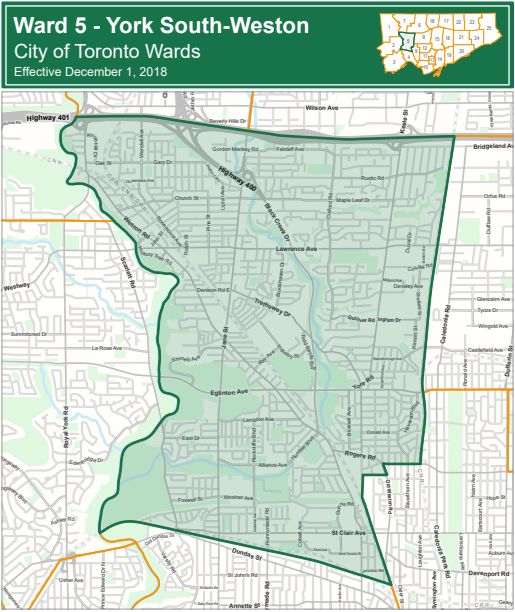 To consult with residents in Ward 5 and the local community about their recreation program needs. Feedback will assist with planning the types of recreation programs that will be offered in the community and ensure that programs meet the needs of all Ward 5 residents. Thinking about how important City of Toronto community recreation facilities are to your quality of life, how much would you agree or disagree with the following statement? Please use this 5 point scale where 1 means you 'Strongly Disagee' and 5 means you 'Stongly Agree'. City of Toronto community recreation facilities are important to my quality of life in the city. Please confirm your interest in completing this survey. *Please confirm your interest in completing this survey. *Note: An answer to this question is required to proceed with the survey.